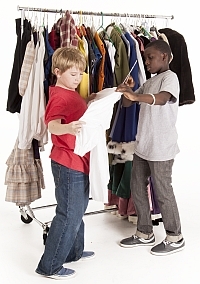 Costumes are an important part of the fun and magic of live theater, but it doesn’t have to be hard or expensive. 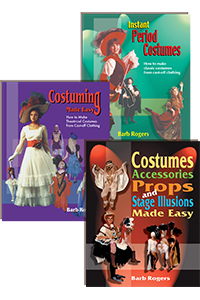 All our books keep in mind that you need low budget costume solutions for your theatre and offer many creative solutions for costumes, accessories, props and even stage illusions. 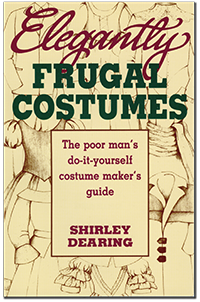 Several of our books provide patterns for sewing your own costumes; others provide details about how to alter cast-off clothing to create classic costumes. Our texts cover many periods and styles, from Egyptian, Greek and Roman all the way to punk. In between, you’ll find chapters on all the twentieth century decades from the 20s through the 50s to the 80s, plus other historical time periods from the Renaissance to the Old West. Pioneer Drama Service is pleased to offer 3 texts in this category.